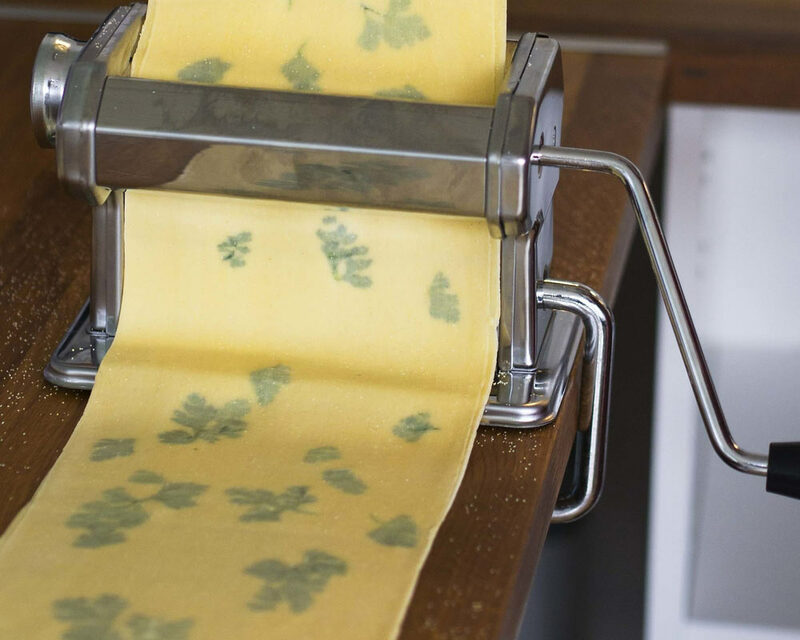 Master fresh egg pasta, learning the tips and tricks behind this Italian staple! Level/ Suitable for: Beginners to intermediate. Those with an interest in Italian cuisine. Skills/ techniques/ content covered: Pasta ingredients, kneading pasta dough, using a pasta machine, shaping pasta by hand, drying pasta, storing pasta, cooking pasta, adapting recipes. Suitable for: Vegetarians (Please note a hard cheese is used in the pesto, please advise at time of booking so the recipe can be adapted if you are vegetarian). For any other special dietary requirements, please contact us before booking. Workshop Frequency: Approximately once a month. Already been to this workshop? You might also enjoy: Little Italy @ Little Kitchen, Introduction to sushi, Curry Club Lunchand A Taste of Marrakech. What to bring: Feel free to bring along tupperware to package up your pasta. Packaging will also be available. Please note: The pasta dough is made independently. You will work in pairs to roll your pasta dough and to make the pesto.